Another item for baby Prasad, this time a pair of fun little leggings. 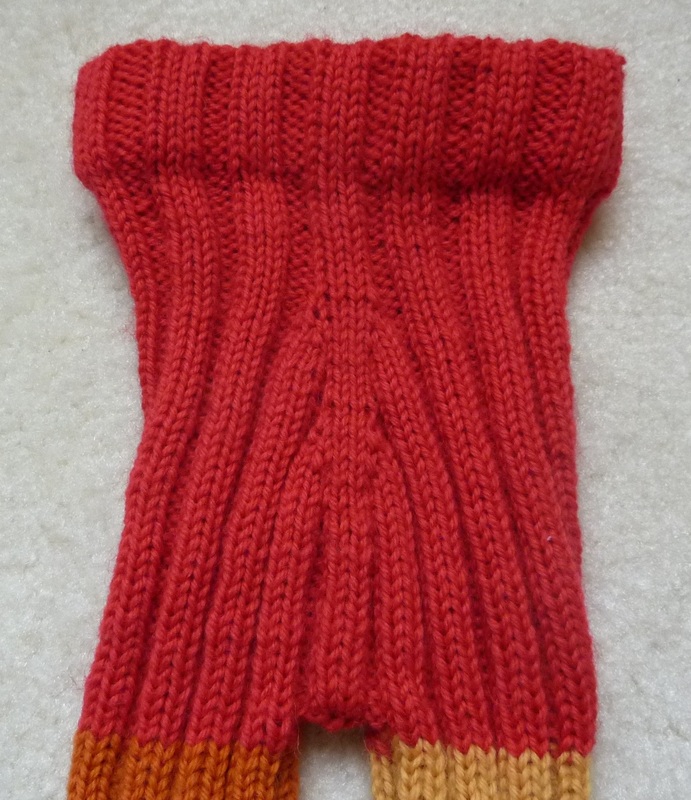 I chose some left over yarn in a really fun yellow, red and orange. This is the front view. 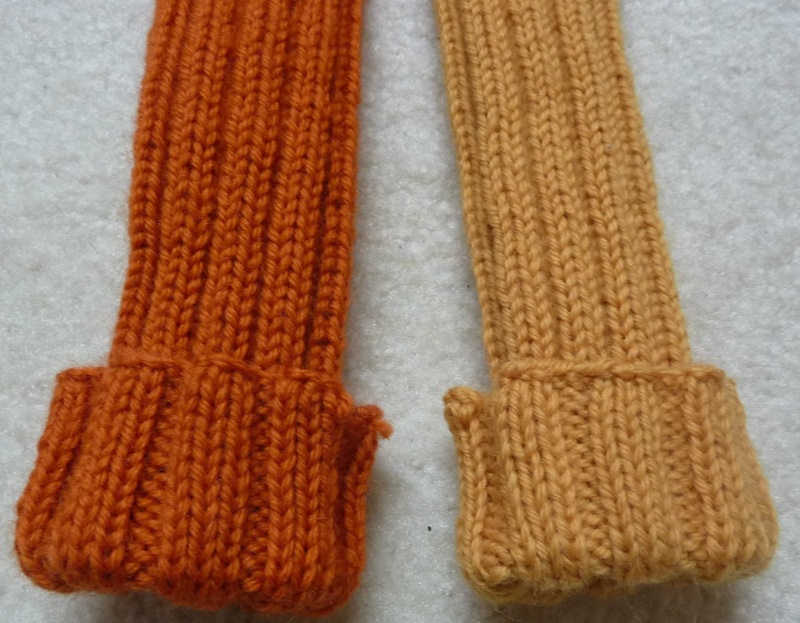 It was quite an easy knit as I knitted them like socks, but just longer. I did think at one point that it might be a little warm for a little one, but as this one arrives in February it’ll probably be perfect for her. Here’s the back view, it’s got quite a nice pattern, which is a result of the shaping for the legs. I used one of the Garnstudio patterns, but can’t remember which one it was as I knitted it a couple of months ago.